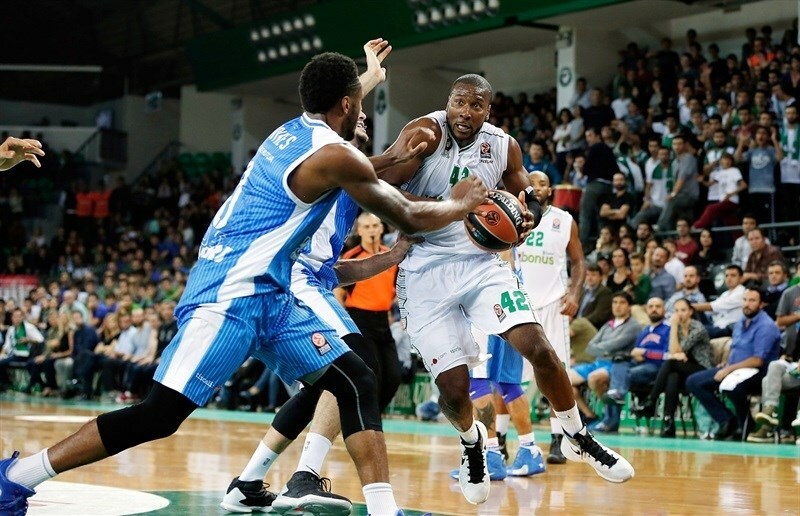 Darussafaka Dogus Istanbul made history in its Turkish Airlines Euroleague debut after rallying to force overtime and pull out an 83-74 win over visiting Dinamo Banco di Sardegna Sassari in Group D on Thursday. The hosts dominated on the offensive boards and outrebounded Sassari 57-31, but it was Sassari that grabbed an early 11-point lead. 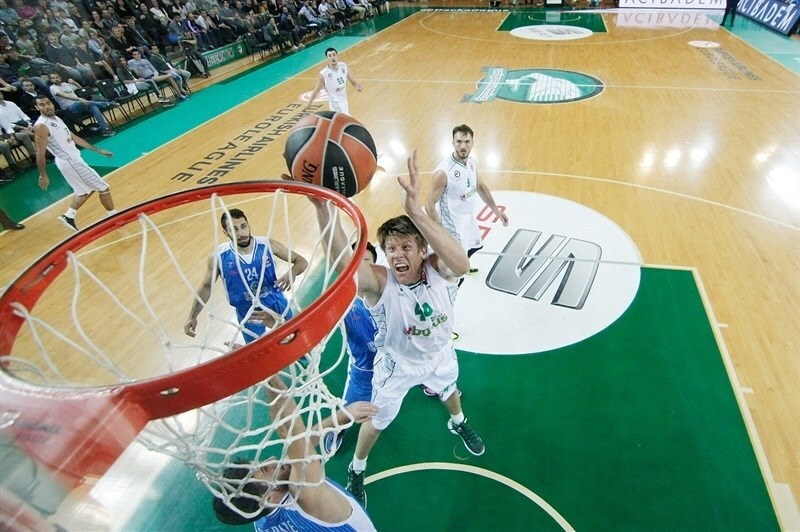 Darussafaka rallied and took 32-31 lead into halftime, but neither team managed to take control after the break. MarQuez Haynes led the visitors to 61-66 lead late in the game, but a triple from Milko Bjelica forced overtime. It was all Darussafaka in the extra session, however, as Emir Preldzic had an all-round effort with 7 points, 7 rebounds and 8 assists. Bjelica finished with 15 points and 7 rebounds, while Reggie Redding had 12 points and 9 boards. Jamon Gordon added 12 points and 7 assists, while Marcus Slaughter scored 8 of his 10 points in the final 90 seconds of regulation. 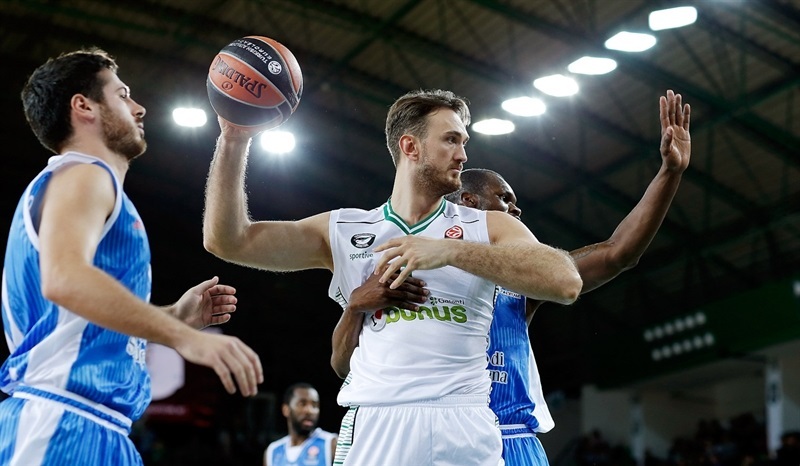 Semih Erden pulled down 12 rebounds and had 3 blocks for the hosts. 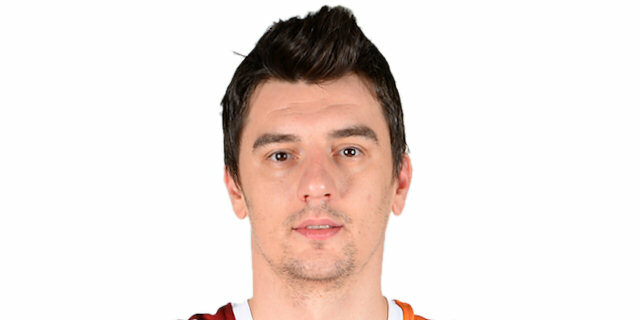 Rok Stipcevic paced Sassari with 14 points. Haynes netted 12, and Joe Alexander collected 11 points and 8 rebounds. 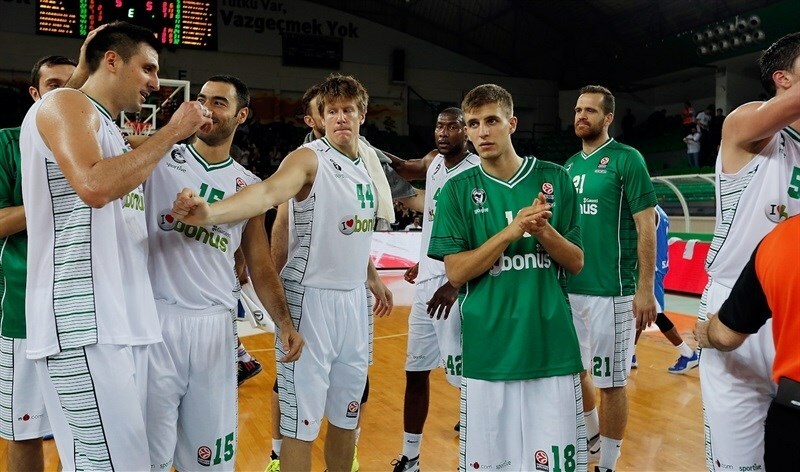 An Oguz Savas put-back was the first Euroleague basket in Darussafaka history. Jarvis Varnado replied with a sky-hook, and David Logan followed with a fastbreak three-pointer. Savas scored inside again, but Christian Eyenga made a runner, and Varando added another from close range for Sassari, before a turnaround jumper from Brent Petway made it 4-11. Savas banked one in for the hosts, but Varnado got a favorable roll on a baseline jumper. Luke Harangody was the first scorer not named Savas for the hosts with a fastbreak basket, but Alexander's three-point play extended it to 9-16. Harangody kept Darussafaka in range, but Giacomo Devecchi grabbed an offensive rebound and seconds later sank a triple for a 11-19 lead. However, Harangody scored a pair of put-backs and cut the deficit to 15-19. Devecchi hit another three to open the quarter and a driving layup from Stipcevic made it 16-24. Sassari continued the run after a timeout, with a triple from Lorenzo D'Ercole for the largest lead of the night, 16-27. However, Erden fought inside for a finger roll put-back, before Ender Arslan hit a pair of threes, with the second one coming from way downtown, to get within 25-27. 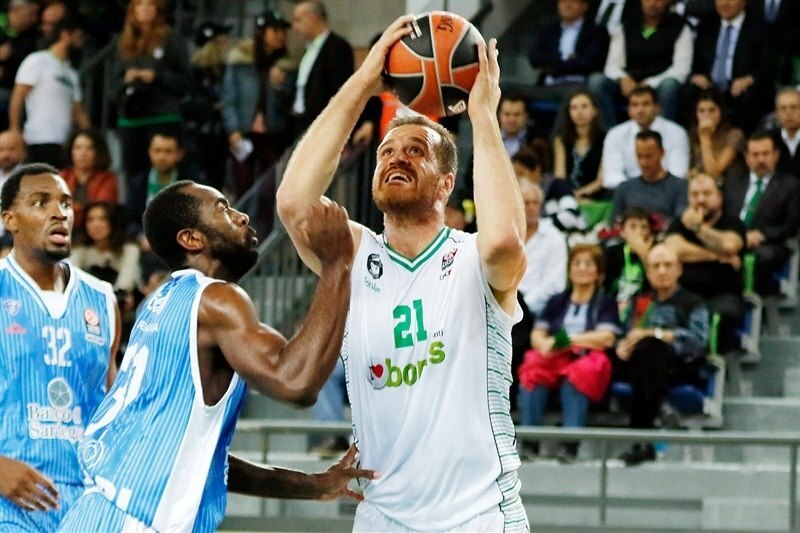 Preldzic made it an 11-0 run to tie the game, and after a pair of free throws from Alexander, Bjelica nailed a corner three-pointer to give Darussafaka a 30-29 edge. The visitors answered with Petway feeding Eyenga for an easy dunk, but a fastbreak layup from Bjelica entering the final minute gave Darussafaka a 32-31 halftime advantage. Reggie Redding hit a corner three to open the second half, and after Logan made an easy layup, Slaughter's monster slam made 37-33. 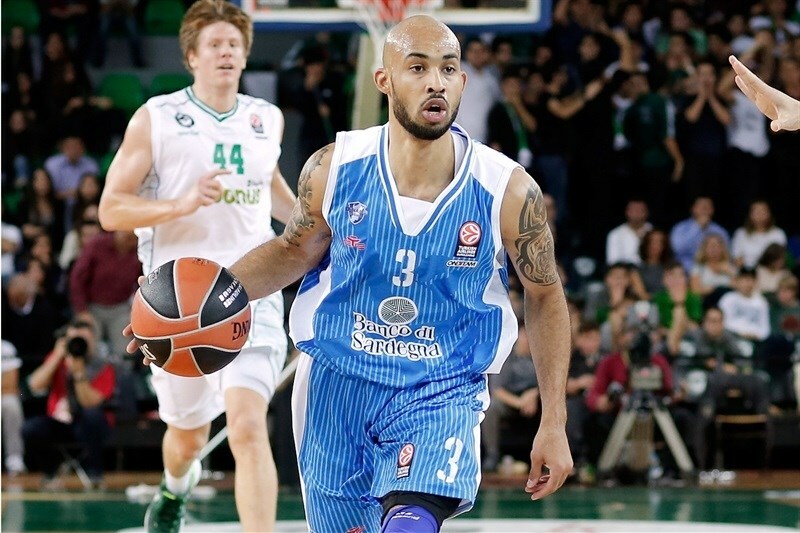 Varnado answered with a basket-plus foul for Sassari, but Bjelica nailed another corner three for the hosts. Back-to-back close-range baskets from Eyenga tied things at 42-42. The visitors went in front with free throws from Stipcevic, and Alexander hit a long jumper a 43-46 edge. Stipcevic drove for a layup, then fed Alexander for a basket in traffic, but Jamon Gordon’s floater made it 46-50. 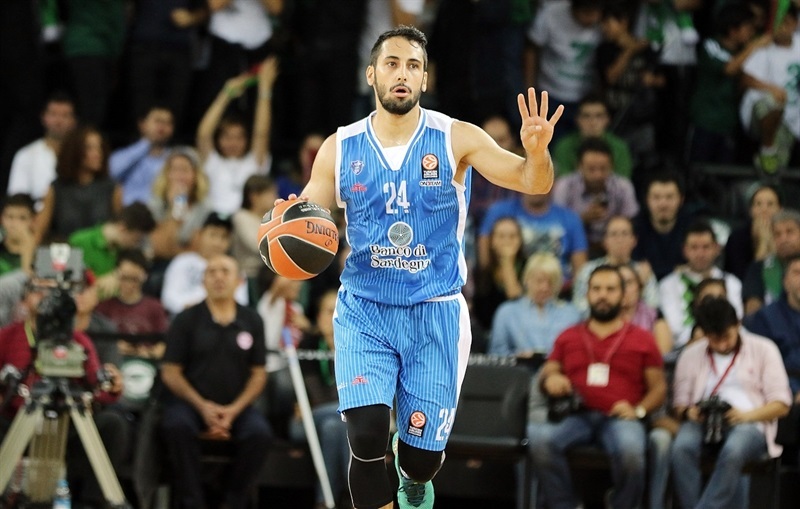 Bjelica scored a short turnaround jumper, and Serhat Cetin nailed a tough triple to cut the gap to 51-52. Gordon gave the hosts a slim lead, and after Haynes and Gordon traded tough baskets, a triple from Stipcevic made it 55-57 midway through the fourth. Gordon scored again, this time a layup high off the glass, but Sassari regained the lead with 2 free throws from Alexander, and another bucket from Haynes made it 57-61. After a timeout, Preldzic scored a tough basket inside, but Logan answered by driving the lane for an easy layup. Slaughter banked a tip-in, but Haynes drained a triple over Preldzic for 61-66 with a minute left in regulation. After another timeout, Slaughter had a quick dunk, and Gordon made a steal, but Petway blocked a layup attempt from Redding. 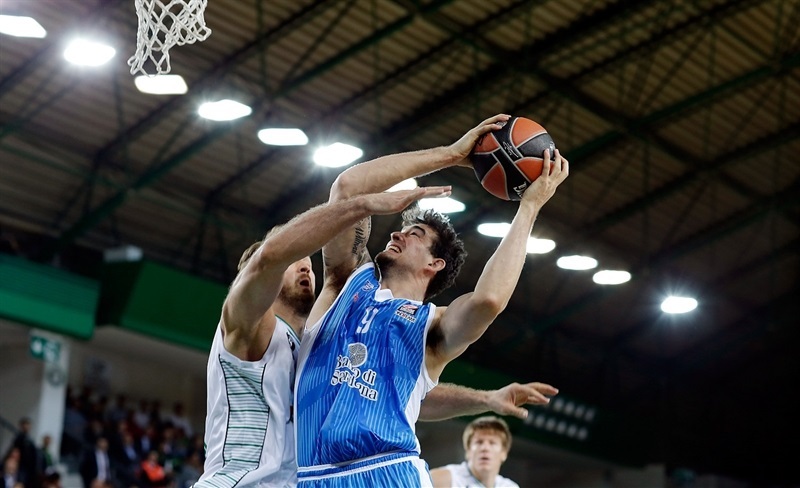 However, Darussafaka made a defensive stand, and got another chance that Bjelica used, knocking down a triple to tie it at 66-66 with 16 seconds to go in the fourth quarter. 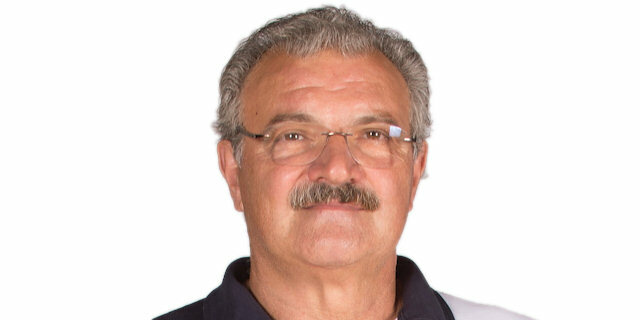 After a timeout, Sassari’s inbound pass was stolen by Redding and Preldzic, and Bjelica had a chance to win it for the hosts, but missed a triple. In the extra session, Redding made a pair of free throws and Gordon nailed a long jumper to make it 70-66. 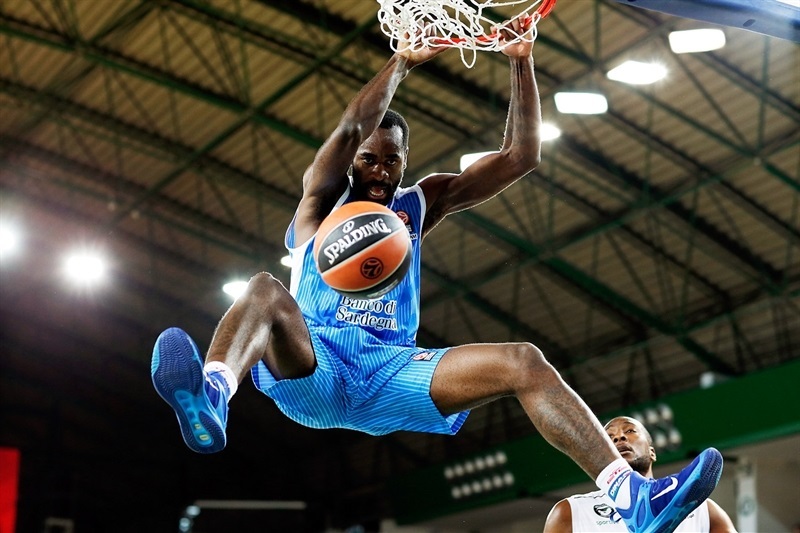 Haynes knocked down a second-chance three-pointer for Sassari, but Slaughter fought his way inside for a basket, then made two fouls shots for a 5-point margin. Haynes drove for a tough basket inside for the visitors, but Redding’s three-point play extended the margin, and Prledzic followed it with move in the high post and basket for a 79-71 lead with 66 seconds left. Redding increased the lead to 10 points 20 seconds later to seal the deal. 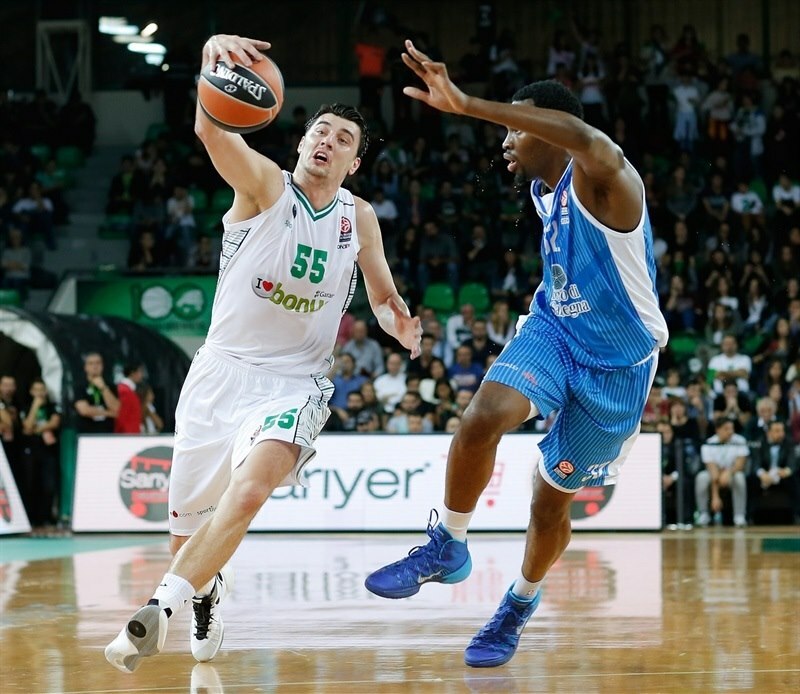 Still, Stipcevic hit a triple, while Preldzic and Bjelica each split free throws to set the final score. "We must be honest. We did not play great basketball. We showed a great effort, which is very important. We trusted each other, we know that we did not play good basketball. We struggled a lot, especially offensively. We had a lot of open shots, and we missed them. But at the end we fought, we tried to get to victory and maybe luck helped us a little bit, and in the end we won by 9 points, which is really good for us." "They had more than a 20-rebound advantage, but we played good defense and made three bad bad errors in the last 40 seconds of regulation. We had fouls to give, we had to foul, but we did not make any foul. They made two easy baskets. Then we had a turnover for the last shot. We cannot be relaxed in the last 30 seconds with two fouls to give. We had to make a foul before those shots. It is impossible we did not make fouls in those situations. Gordon gave us trouble with penetration in critical moments." "We were really nervous in the beginning of the game and first half. [In the] second half we competed better, we were fighting on defense. Our defense was very good today, but offense, we still have to work on it. Yes, we scored 83 points, but our game wasn’t that good so we need to improve that. This game was very important to start with victory, now we have to keep going like this."